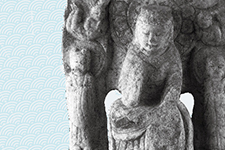 The Art Research Center (ARC) at Ritsumeikan University was designated by the Ministry of Education, Culture, Sports, Science and Technology (MEXT) as the Digital Humanities Center for Japanese Arts and Cultures under the Global COE Program. Since being designated as a Global COE Program center, the ARC has been focusing on research projects related to the program to train and assist young researchers, disseminate and provide education on art and culture, among other activities. 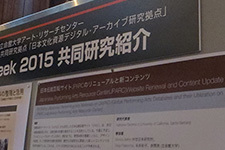 The MEXT’s Joint Usage/Research Center system allows researchers in and outside of Japan to share the ARC’s academic materials, data and facilities and conduct joint research beyond individual university’s framework. It aims to enhance the foundation of academic research and develop new academic researches. 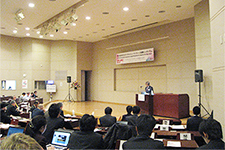 The goal of this Center is to “become a world class research center” in the Digital Humanities field through a variety of activities, such as joint research with researchers from other universities and research organizations, collaboration with influential research organizations in and outside of Japan, training of young researchers, effective transmission of research results, as well as giving back to the society. This Center aims to train researchers of Japanese culture to conduct research overseas with a global viewpoint and understanding of the world’s foremost research trends. No reproduction or republication of articles, pictures, etc. used in this site without written permission.